Cognitive processing of numbers is an important subcomponent of arithmetic skills, which has been found to be often deficient in children with mathematical learning disorder. 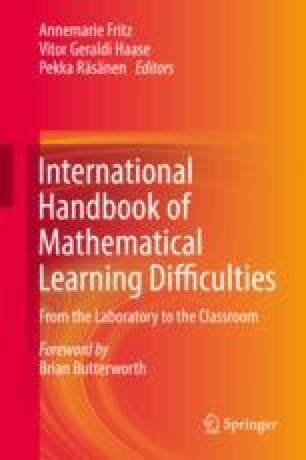 This chapter summarizes current knowledge on the development of the cognitive representations of different number formats (analog magnitudes, number words, Arabic numbers). It provides an overview of experimental effects of numerical processing that are informative with respect to the neurocognitive representation of numbers (e.g., distance, size congruity, compatibility, SNARC effect) and reports recent findings on relevant neural networks in typical and atypical development. Implications for instruction and intervention are discussed.